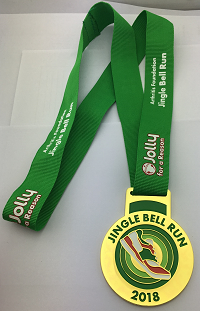 Online registration closes at 12:00 p.m. on Thursday, December 6, but in-person registration will be available at the various packet pick-up times and locations. We strongly encourage participants to take advantage of our early packet pick-up opportunities to avoid race day congestion. When: Friday, December 7, 2018 from 4:00 - 6:00 p.m. The Arthritis Foundation is located on the NW corner of 75th Street and State Line Road in the Capitol Federal bank building. Park on the north side of the building near the bank's drive-thru lanes and enter the glass doors. Take the elevator to suite 200. When: Saturday, December 8, 2018 from 1:00 - 3:00 p.m.
Meritex is located just off Interstate 435 and 95th Street/Prairie Star Parkway. Meritex is just west of Renner Boulevard and just south of Prairie Star Parkway/95th Street. Packet pick-up will be through the left-hand portal, and vehicles are allowed to enter the facility for packet pick-up. When: Saturday, December 9, 2018 (Event Day) from 7:30 a.m.
We strongly encourage participants to carpool and arrive early. Limited parking is available at Meritex. Most participants will park at the nearby Kiewit building and take a heated shuttle to Meritex. Kiewit is located at 9401 Renner Boulevard, Lenexa, KS. Are dogs allowed? Unfortunately, no. There are no grassy areas for pets to take care of their business, so dogs and other animals are not allowed to enter Meritex.